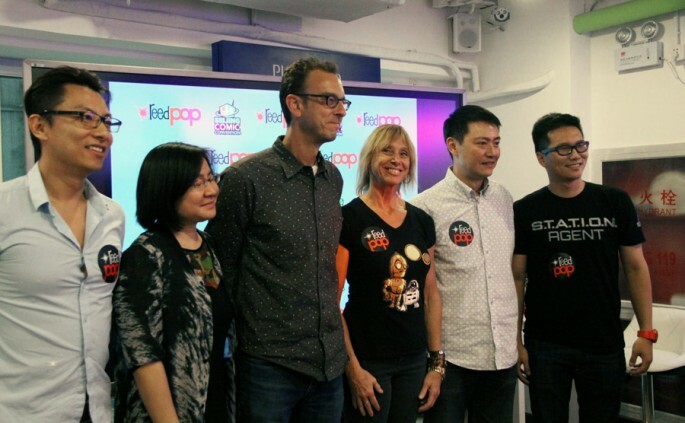 ReedPOP, the team behind the anticipated New York Comic Con in the United States, will bring a similar comic convention experience to Beijing, sparking excitement among comics and manga fans in the Chinese capital. The plan comes after the group successfully held the first ReedPOP Comic Convention in Shanghai in May. The Beijing edition is scheduled next June, according to the pop culture event producer. ReedPOP added that a second Shanghai Comic Convention (SHCC) is slated for next November. A division of Reed Exhibitions, ReedPOP held the first New York Comic Con (NYCC) in 2006. After a decade, the convention has expanded to other venues around the world such as Australia, India and France. ReedPOP's SHCC featured major names in the comics industry, as well as interactive events and exhibitions. The attendees also had the chance to showcase their own work, participate in cosplay competitions, purchase comics, and meet comic creators and panels face-to-face. The ReedPOP Beijing team revealed that the occasion gathered over 14,000 comic fans from Shanghai and other key Chinese cities, a major percentage of which came from the country's capital. Meanwhile, NYCC founder and ReedPOP senior global vice president Lance Fensterman expressed his admiration for the Chinese crowd, though he admitted that he has not yet attended any of the country's comic conventions. "I've been to several editions of that and admire what they built. Seeing that event inspired us, because you can see the passion that fans have. Video game fans and pop culture fans are kind of the same," Fensterman stated. "You see the same passion and you see the same desire to express their passion," he added. For Viola Zhang, a female fan from Hubei Province's Wuhan, said that the first SHCC "had a very good atmosphere." "You never get tired of talking to people and the mood is always very happy," she recounted, commending the host for pulling off such an event.